Blackburn with Darwen will take part in the national ‘Lights Out’ event, where lights across Britain will be turned out, to mark the centenary of Great Britain entering the First World War. The event, which echoes Sir Edward Grey’s famous words that ‘The lamps are going out all over Europe; we shall not see them lit again in our lifetime’ takes place on 4 August, with lights being switched off across Council buildings between 10pm and 11pm. 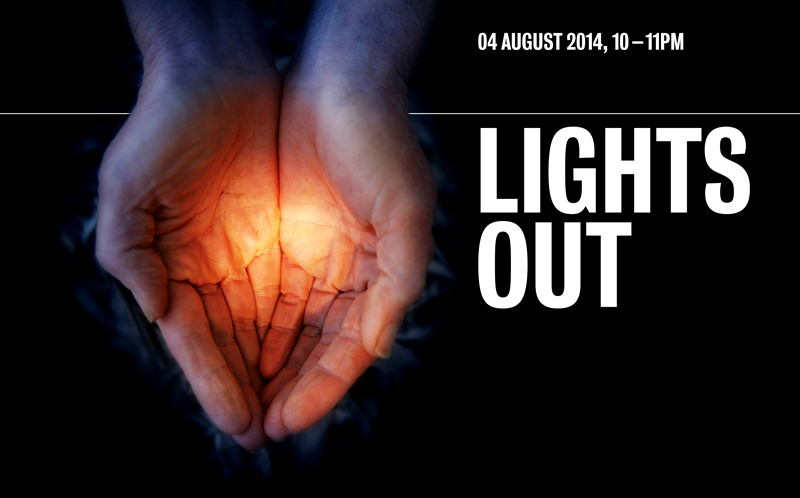 On August 4, a ‘Lights Out’ event will take place at Corporation Park from 9.30pm, in readiness for the 10pm lights out. Guests and members of the public can bring their own candles, and will be able to come and pay their respects to all those who sacrificed their lives during the First World War. The traditional 2 minute silence and flag lowering ceremony will also take place. A similar event will also take place in Darwen, at 9pm in Market Square, which will be attended by the Royal British Legion, and the Rector from St Pauls Church. . Residents are also encouraged to take part, by switching of their lights and joining together with people across the country in remembering this important moment in our history.